Are we making progress toward tikkun olam (healing the earth), or arent we? And if we are, how do we know? Those questions struck Seattle photographer Yoram Benet last year, when he took the Sierra Clubs pledge to reduce his CO2 output by 2% in 2008, and realized he had no way to tell whether he was accomplishing the goal or not. As social justice chair of the Kavana Cooperative, he met community activist Rabbi Zari Weiss, who was looking for good ways to engage the Jewish community in carbon reduction. They hatched the Jewish Climate Challenge. Carbon Salons (http://carbonsalon.net/about)  groups of households and individuals who pledge to reduce their CO2 output by at least 2% each year, and support each other in getting there through periodic meetings and brainstorming. Rabbi Weiss and a large committee run the outreach and marketing efforts. How can Jews, fewer than half of 1% of the US population, make any difference? Your carbon footprint is the sum of all CO2 emissions that your fossil-fueled activities generate directly and indirectly. Because you can get them straight from your electric and gas bills, vehicle mileage and flights, theyre the easiest to track, showing your progress. We also track carbon output because its generated in quantities that dwarf the other six bad actor greenhouse gases (GhGs), such as methane (CH4), perfluorocarbons (PFCs) and nitrogen trifluoride (NF3), even though they are 21 times, 1,000 times and 1,700 times more harmful, respectively, than CO2. The main reason we track carbon is for efficiency. The worlds economies currently waste up to 10 times more resources than they create. A key indicator of where waste occurs is the carbon released from energy moving through the system. Global climate change has provided a good stick to swing at enterprises and policymakers, generating environmental laws and global private sector efforts such as the Carbon Disclosure Project (CDP) (http://www.cdproject.net/), ClimateCounts.org (http://www.climatecounts.org/), Business for Social Responsibility (http://www.bsr.org/), and GOOD GUIDE. The latter is a web-based service that collects and certifies the ecological impact of products throughout their supply chains. Efficiency improvement is the carrot in this mix  basically, learning to use our resources better than we ever imagined possible. So, joining the Jewish Climate Challenge helps you make better use of your resources and benefits your pocketbook, your health and the world. We know Americans generate more carbon footprint than anybody else on earth, and that the more wealthy the person, generally the more the GhG output. Jews tend toward the upper end of the income spectrum, so they create proportionately a larger footprint. 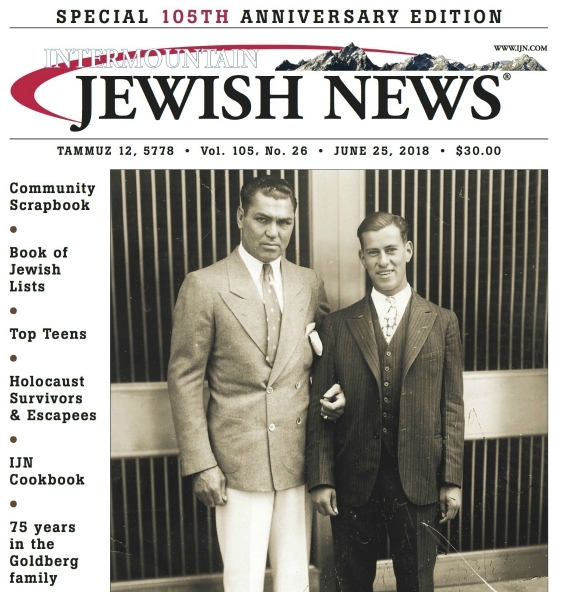 Beyond that, the populations tend to embrace ideas generated by their Jewish friends: nearly 86% of kosher food buyers are non-Jews; trends set by Jews in the media (Seinfeld yada yada), sciences (Jonas Salk), engineering, software, art, music and athletics (remember Hank Greenberg, inventor of the first basemans mitt)?) are readily embraced by the general population. Its a matter of leverage: were well-connected, progressive and trend-setters. According to Dr. Steven Windmueller, since their arrival in New Amsterdam Jews have created partnerships between the public and private sectors to help meet core communal religious and social concerns. Jews value political advocacy and communal vigilance, and display a high degree of civic engagement and passion for politics. Joining a Carbon Salon, or logging on to the Jewish Climate Challenge, will start you on the road to becoming part of the solution.